So you might’ve caught a glimpse of what our Niagara falls trip looked like through last week’s #LIPlinkup #5, but now it’s time to break it down and tell you the full story. I spent my entire Friday lounging around the house, waiting for dad to return home from work so we could drive down to Niagara Falls(if you couldn’t tell from the pictures in the link up)p. Packing, doing yoga, and I even think mom and I went shopping for groceries in the morning for the week ahead, just to get it done early. I had a lot of free time and it wasn’t until 7:30pm that dad came home and we finally left the house! To be brutally honest, it seems like a wasted stay overnight; the first thing you do when you get there is sleep. I’d rather arrive in the morning for a full day at Niagara Falls. Yay. Best Value Inn. You get exactly what you pay for. My typos are pretty awesome though. The minute we settled down, everyone but me grabbed a giant Costco chocolate muffin cake. I have to agree, for a factor-made business, their food’s pretty good. They put a generous amount of chocolate chips in this thing. Later we headed out into the cool night and saw the light casting on Niagra Falls, giving it a wonderful glow. Butter. Sugar. Evaporated milk. Repeat. We did spend about one hour browsing around Clifton hill and visited the Fudge Factory, which lured me in with its rich, sweet, buttery aroma. It filled my nose and it wasn’t long before I found myself up against the glass starting at the chocolate makers. They made their fudge in public. One made the mixture in a big steaming pot. It fogged up the glass in the cool night and i saw him add to the white-yellow liquid in the pot 2 blocks of butter, 4 cans of evaporated cream and loads of sugar. You should’ve seen the fudge factory. The second man stood just behind him, tossing the thicker fudge mixture with a giant spatula right on the surface of the table. It must’ve been a special table made of marble! He folded the edges of the quickly oozing batter until they cooled and slowly started to harden. Then he opened a drawer from the table and scooped everything in just before it turned solid. If I could go back before I started my health journey I’d eat as much of those as my mouth could hold. Then it was back home and lights out. The next day was the best day of all, quite possibly because it was the first full day at Niagra Falls. I couldn’t sleep very well because my sister kept tossing and turning in bed. I woke up the next morning less than refreshed but took a cold shower, which woke me up nicely. Breakfast was complimentary, but I had doubts about what they might serve. After all, this was no 5-star hotel–the place is called Best Value Inn for a reason! The dining area served grains and sugar and factory-made food, that wasn’t surprising. They had toast, peanut butter, butter, jam, froot loops cereal, multigrain oats, milk(no label on percentage), and miniature muffins. All grains, not protein at breakfast. There was literally nothing I could eat. Which is exactly what I was prepared for! Which is why I brought my own food: cooked Bone Marrow meats(can you get more paleo?) and sauteed coriander. In the car, my parents agreed that it wasnt much to miss out if we skimped the complimentary breakfast tomorrow as we drove down to the falls. We soon boarded The Maid of the Mist for the first time ever! I had to pull the camera away as the boat approached the falls. Literally, it was a free shower but luckily, they handed us plastic raincoats. Riley’s moving theatre is one of the best attractions on cliffton hill. The concept is very simple; watch a movie while feeling like you’re experiencing it first hand. The chairs we sat on moved according to the screen. It vibrated and turned from side to side, and sometimes water from the back of the seat in front of us would splash water on our faces! The experience is 4-dimensional! It’ll put a smile on your face for sure. 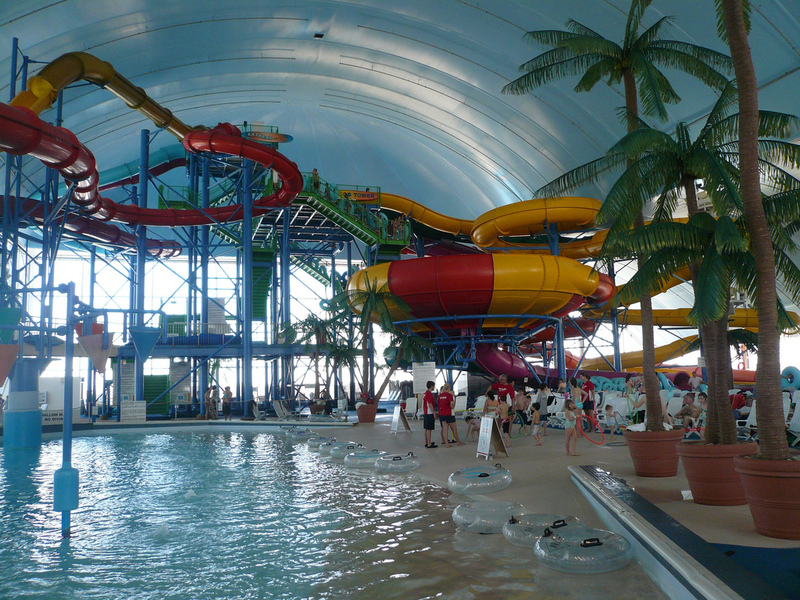 In the afternoon we went to Fallsview water park. It was a lot of fun! At first I was extremely reculant to go because i wasn’t all about getting wet and drying off, not to mention my family harassing me about my body shape, but it turned out to be fun. I went on the slides and tubes. My favourite slide is called the Canon Drop, where there is a big drop in the middle of the slide and you feel like you’re freefalling for like, 2 seconds before the water rushes up to your face as you near the end. Gosh, I learned the hard way to plug my nose! After drying off, my dad proposed we go to Swiss chalet for dinner. Butter. Yay or nay? I regret using 6. I’m not sypposed to have dairy and gluten and hygrogenated oils, but I was all “whatever” at the time and ended up using 6 servings of butter on my chicken. Wow, did I wake up next morning regretting that! We packed our bags and left–it was all too soon! I mean, we only arrived yesterday(I mean, Friday night doesn’t count. We didn’t do anything). Originally we were planning on visiting marine land but since the water park costed a fortune, we went to a pick your own farm instead around the Niagara region. look at my little bro! It was the same farm we visited two years ago last trip. I don’t think the farmers remembered us, but we saw them again and made light conversation. I love pick your own farms! There’s just so much to harvest, I wanted to pick it all but only opted for the best of the best peaches which were the darkest shade of red. I quickly learned that even the juiciest peaches had a yellow patch where the leaves covered sunlight. Later we visited an outdoor outlet mall (which didn’t have very great sales), ate at macdobalds, then headed home. Next time I’m hoping we dry at a luxurious hotel, like Sheraton, with amazing air co ditionning, soft pillows and beds, a grand TV, bamboo flooring and a giant window with a view of the falls! And maybe order room service, like a massage and breakfast in bed and all that good stuff. Let’s hope I win lotto 647 so that’ll all happen and i can take all of you guys with me. Hey–we can even gave a fitness retreat! Have you even been to a wellness retreat? Are any of you attending Blend next year? What was the best part of your experience with a 5-star hotel? This entry was posted in Uncategorized and tagged niagra falls, Swiss chalet, vacation, water park, WIAW.